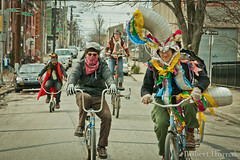 Carnival de Resistance | The People make it happen! The People make it happen! This project is shaped by the people who give it their imagination, critical thought, careful planning, personal resoures, time, sweat and song.